We know that the Dow Jones Industrial Average is off more than 10% since July 1 in a correction that has investors all over the world rattled. But here's the thing… I've been able to predict every step of the sell-off, whenever stocks were set to make the next move down. Right before each drop, I told investors what they could do to protect themselves and even make some nice, easy money during the sell-off. I made the predictions here in Money Morning, and on FOX Business, too. But what I didn't tell FOX audiences was just how easy it is to predict when these dives are going to happen. In fact, it's incredibly easy – especially when the market is about to move lower. You just need to know how to read "between the lines": channels, support, and resistance. That's just what I'm going to show you today: How to read the markets' future right now. That way you'll be able to see when the markets are ready to go through a big, juicy correction. We're having one right now, but you'll be able to see it won't be long before another one comes along. Here's what I like to call "Technical Analysis 101." It's fun, easy, and best of all, it can make you a fortune. As you can see in Chart 1, this one-year chart of the Dow Jones Industrial Average is broken down into three timeframes: T1, T2, and T3. For now, I want you to focus just on T1. Imagine there is nothing to the right of that time frame, no T2 or T3. If you were looking at a chart of the Dow over that period (T1), even if your chart went further back, you would have seen that the market was going sideways. I looked at that and thought, "We've made nice new highs in this long bull market and now we seem to be going sideways. We could break out, make new highs, and start another leg higher. Or the market could be getting tired and investors might be thinking about taking profits here." So I drew a couple of channel lines. Channels are parallel lines that go sideways, go up, or go down and look like a channel. I look for channels, but they're not always obvious, and they can be drawn differently by different people depending on how they interpret a given chart. But for the most part our channels and support and resistance lines will all be pretty close; close enough to not matter how exact they are – they don't have to be exact. Drawing channels and support and resistance lines is more art than exact science. As long as you have a ruler and can draw a straight line, you're going to be as good at this as I am. Looking at T1 you can see there's a pretty clearly defined sideways channel there. So I drew Line 1 to delineate the top of the channel, and I extended it all the way to the right of my graph. I also drew Line 2 to delineate the lower channel line. If you were just looking at a graph of T1, your line would end where T2 starts. The thing about drawing channel lines and support and resistance lines is that you always extend them out. Draw them going forward so you can see in the future, when you have more graphed data, where the old lines are. I keep my old charts and use them to recreate my existing lines when I print out updated charts. I draw the old lines onto the new charts. The top line of the channel actually becomes an upper channel resistance line, and the bottom channel line becomes a lower channel support line. So now you have a channel and support and resistance lines. Sideways channels, especially the longer a sideways channel extends, are very important patterns to watch. What's happening in the real world, not on the chart, but in terms of prices being paid to buy and sell stocks (which is what the chart shows you graphically), is that stocks are trading in a range. Investors aren't pushing stocks higher or lower, they're just changing hands within that channel of prices. Back to reality. 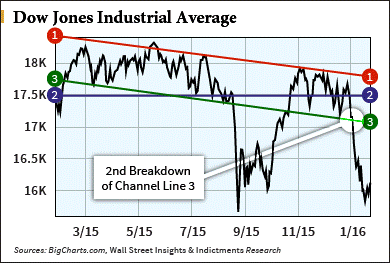 Investors making decisions within this sideways channel know what's happening. Buyers are hoping stocks will break out and sellers are afraid they won't. Buying investors, and especially buying traders, see the resistance line of the channel as a price level, above which, people will say, look the market's going higher, we don't want to get left behind. And if the market breaks down through the support line, people will say, the market couldn't go higher after trying, it's tired, it's time to take profits. Technical analysis, exactly like this channel we're looking at, and the support and resistance lines they formed, are important because so many traders (most, and every big institutional trader and hedge fund manager everywhere) are looking at what you and I are looking at, too. Very often, because there are so many traders looking at the same "lines," breaking out or breaking down when they get breached can become self-fulfilling. If for no other reason, that's why you have to know where channels and support and resistance lines are at all times. So we're going sideways and everyone sees it. The market's been on a long bull run and a lot of things have changed. For one, the Fed is going to raise rates at some point. The thinking – the psychology of investors and traders – becomes clearer in terms of our sideways channel. 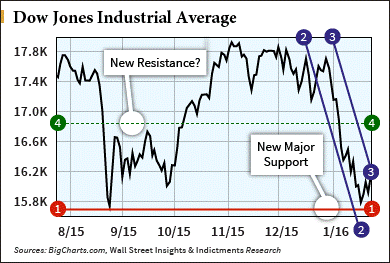 If we break down through support, investor sentiment might turn negative. It's even more important at this juncture because we've made all-time highs and the market's stalled out waiting for more good news to take it higher. If we don't get any and keep going sideways, investors will get nervous. As we're moving to the right within the channel, we can see at Point A that after the peak high just to its left, we went down and tried to get back up to the highs again, but couldn't. The Dow got up to Point A and fell right back to the support line, which saved it from going lower. But that was a warning. Then stocks tried to rise again. The next time they only got to Point B, which is a lower high than Point A. So the market was trying to go higher, but the last couple of times it made lower highs and fell back to the support level. If the Dow broke support here, investors who placed bets in that sideways channel would think about getting out because the breakout they wanted didn't happen. Traders will look at a break below support as a bearish sign and not only sell what they are holding to book whatever profits they have, but will short-sell stocks there to try and push the market down. They know investors are nervous there and if they can get them to sell, they will push the market down, making their new shorts profitable. Believe me, that's what big traders do. I used to do that all the time when I was running trading desks and my hedge funds. 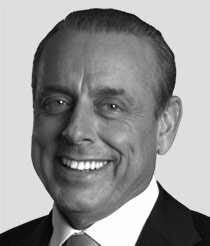 If you've got a lot of capital and think you can move markets to your benefit, you try. And because you're not the only one trying, it happens. Market action, as reflected in charts, is all about psychology. What are investors seeing? What are they thinking about where prices are? What action are they likely to take based on their fear and greed? You see, technical analysis isn't about lines or patterns, it's about psychology. How investors and traders think and how they're going to react to price movements. Just like me, you would have seen that we broke support right at the end of T1 and you would have thought, oh boy, this looks dangerous if we fall from these heights. I saw the exact same thing you could have seen. And I knew, because things were changing globally and domestically, if we broke that support, investor psychology would change quickly and there'd be a lot of profit-taking, selling, and short-selling. We did fall… and my Capital Wave Forecast and Short-Side Fortunes readers made a lot of money catching the tumble. But then the market made a remarkable recovery. We had covered our short plays and were watching it go higher. When we got above the old support line that was the lower sideways channel line, everyone thought the steep sell-off was an anomaly and we were recovering and could make new highs again. Sure, that was possible. But we'd have to get to new highs to really change investor psychology from the fear they just experienced. So at the end of T2, I was thinking, "We'll have to wait and see now that we're back above the old support line." When a support line gets broken enough – and that wicked August sell-off was certainly more than enough – the old support line becomes a resistance line. Investors and traders are nervous there at that new resistance level that investors who didn't get out before and see the market rise there again might take the opportunity to sell now that prices have recovered, in case the market headed down again. But once the new resistance (the old lower channel support line) is broken to the upside, the thinking becomes more positive and investors and traders will start to nibble and buy stocks. That's what happened as we went into T3. Once we got to Point C in T3, which was just shy of 18,000 (big whole numbers are very often important psychological levels, especially 18,000 on the Dow because it was close to the all-time highs), I figured that might be a line in the sand. We tried to get to 18,000 but couldn't. I figured I'd draw a horizontal resistance line there (Line 3) to delineate the psychological resistance that getting above 18,000 convincingly would require. From Point C we saw the market fall below the old support line (that's not good) back to Point A. Then the market tried again to rally, but couldn't even get back to Point C. Then it fell below the old support line again, but worse, it made another lower low to Point B. Then it tried to rally again and only got to Point D (a lower high), before falling right back through the old support again. At that point the market looked exhausted and unable to get to 18,000. Just before that time, I said on FOX Business' "Varney & Co." to sell everything, that the market was going down in January. I knew that because I knew if we broke down below the old support line again, investors would throw in the towel and big traders would try and easily be able to push the markets down. When we made still another lower low at Point C, it was clear psychology had turned completely negative. It was game over for the bulls. Now look at Chart 2. I drew a top channel line connecting all the high points on the graph – Line 1. Now, because I'm looking to draw a channel, I had to look to see where there could be a lower channel marker that would be parallel to my new upper (downward trending) channel line. It was easy to draw Line 2 because it created a parallel channel and started back where the old sideways channel began. Take a look at Line 3. See how the market broke down from there in August, and when the market gets above that lower channel line (which looks positive for a while), it still can't get above the upper down-trending channel line, which had become the new down-trending resistance line of the channel. And notice how after trying to get above the upper resistance line throughout the fall, stocks came back down to the lower channel support line. The same thing was going to be true if we broke that lower trending support line – we were going to go even lower, probably a lot lower because, again, fear would be the predominant psychology. Line 2 in that chart is just the old lower sideways channel marker. It's there to show you that even that old support line is still in the mix within the down-trending channel. 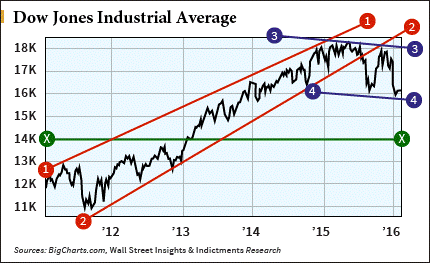 Chart 3 is a six-month chart of the Dow. Line 1 connects the lows from last August to the latest lows. 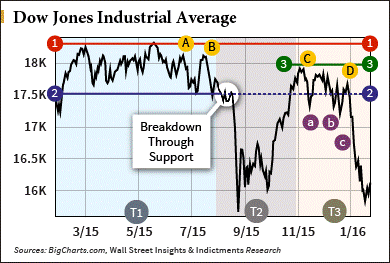 It is now a critical support level. I then looked for a short-term channel, found a steep one (not unexpected), and drew it using Lines 2 and 3. The point of that steep channel is that it demarcated the big sell-off. Line 3 is upper resistance. If stocks get above that (and they have), they can rally. But how far up might they go? The dotted Line 4 is a soft resistance line. I drew it there because looking to the left, in the past, stocks had some difficulty getting above that level before, and they might have some difficulty there again. It is a soft resistance line until we try and get above it in the future; if we try a few times and can't get above that line, and start to slip again, it will become a more important resistance level. Lastly, we've got a five-year chart with a major up-trending channel (Lines 1 and 2). You can see we broke down through the lower support channel line (that's bearish) and tried to get above it (it is now a resistance line) and couldn't. I drew a new bear channel (Lines 3 and 4) to mark the down-trending channel that has taken over sentiment and the general trend. The X Line is where there's support, but it's a long way down to get there. Right now, I'm watching to see where we can go on the upside and what new channels and support and resistance lines I can find. We'll just need a few more days and I'll have the next installment of charts for you that will show you where we're likely going next. But I hope you can see that technical analysis isn't "reading tea leaves," it's about the psychology of traders. It's about fear and greed. And if you can read investors' and traders' minds, you can correctly predict which way the market's going to go. It all makes a lot of sense, except for in chart 3, where did the green dashed line X at 14k come from? It does not intersect any two or more points like all other lines do, it seems totally random.